Buying a BlackBerry off of eBay can be a rewarding experience and you can save some money while you are at it! It can also turn disastrous, you can get scammed, you could get a device that has already been reported as lost or stolen, or you can get a device that looks nothing like the images posted in the auction. 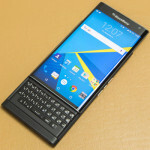 This FAQ strives to guide you in purchasing a BlackBerry off eBay. — Ask if the device is locked or unlocked. 4. If you are satisfied with the seller and the responses then place your bid. Most sellers will have no problem sending this additional information. If they fail to reply or fail to answer all the questions then it might be best to avoid this seller no matter how cheap the device is. I received the device, now what? 1. Make sure to keep all correspondence that you have with the seller. This will be needed later if a dispute arises. 2. Pay for the device using a credit card (best) or PayPal (average). Many credit cards have fraud protection, PayPal uses a dispute system where they might only be able to recover a small portion of your loss from the seller.